Fryer Flicks on the Hill is a free, family-friendly outdoor movie series for the Grove City community. 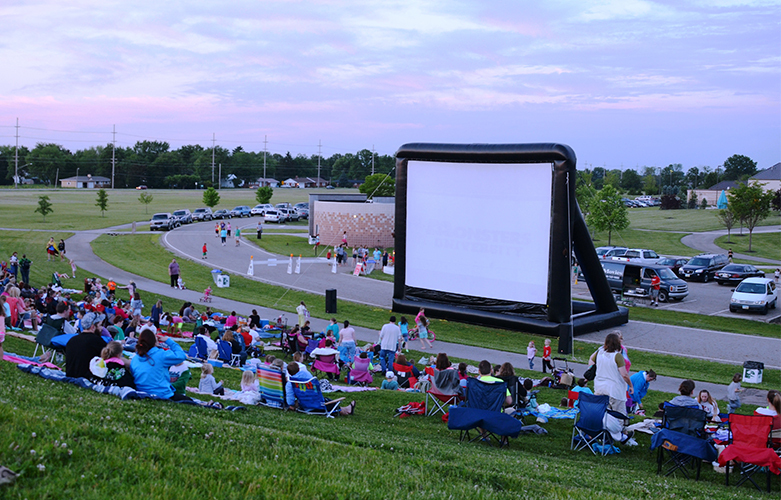 Movies are shown on a large inflatable screen at dusk on the sledding hill at Fryer Park, 3899 Orders Road, Thursdays. If necessary, make-up dates are scheduled in early August. Pack lawn chairs or a blanket and enjoy these classics with family and friends under the stars. Participants may bring snacks (no glass); refreshments will be available for sale. Movies may be canceled for adverse weather conditions including high winds. Weather-related cancellation information is available at the Grove City Facebook and Twitter pages or call the weather hotline at 614-277-3060 the day of the event.